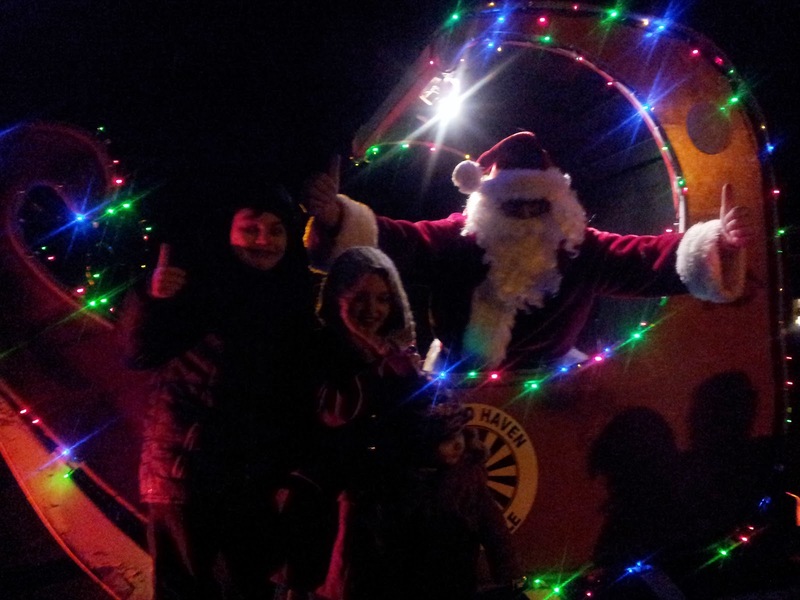 We’ve had an exciting night tonight, Santa drove down our rode in his sleigh to meet all the children, courtesy of Milford Haven Round Table, so many thanks to them! At this time of year, my kids are asking me lots of questions about Santa, and how it all “really works”. I find it confusing myself and all I know is that he needs a lot of magic to make a lot of children happy every year on Christmas Day. However, this fun infographic shows how real (i.e. non magical) cutting edge technology could really help Santa out as he delivers all the presents. Whatever magic or technology he uses…I hope he comes to you and yours next week!